Holiday Blog Hop! Miss Darcy is Thrilled! Another day, another chance to win great prizes! 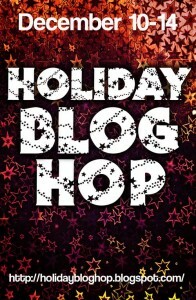 Miss Darcy is so excited to be a part of the Holiday Blog Hop. This is the first time that she will be participating with so many authors for a gigantic giveaway. Devil take it! The Holidays are exciting enough but now the opportunity to win big prizes is something that has all the Daughters of Sweet’s Racing Club aflutter. Just imagine the opportunity to win a Kindle Fire or a basket of signed books! Christmas is such a wonderful time of year! 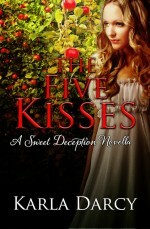 Miss Darcy was so delighted when one of the members of the DSRC gave her the Christmas novella The Five Kisses, the romantic story of Gillian and Chad. Such a sweet relationship and there are kittens too! On Miss Darcy’s portion of the Holiday Blog Hop you can win a $20.00 Amazon gift card. Think of the possibilities. We started yesterday with the first entries and prizes. Every day this week, you will have more chances to win and add more prizes To begin all you have to do to see the details of Miss Darcy’s raffle is to click HERE. And after you’ve entered to win at Miss Darcy’s site, be sure to check out the chance to win the Kindle Fire and other wondrous things at The Holiday Blog Hop! This is your opportunity to meet 60+ authors from around the world. Some may be new to you and others old friends. You may enter the giveaway contests at each of the author’s websites. 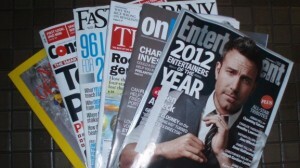 Free books and other delightful swag may be yours if you enter. You can go to as many of the author’s blogs as you want. Miss Darcy is planning to visit every one! You’d have to be tottyheaded to miss such a chance. Click on the picture and you’ll be transported to the main page. Comments Off on Holiday Blog Hop! Miss Darcy is Thrilled!